........And then the snowflakes began to fall, as did the temperatures. It got so cold that the natural gas supply could not meet the needs of everyone in every county. 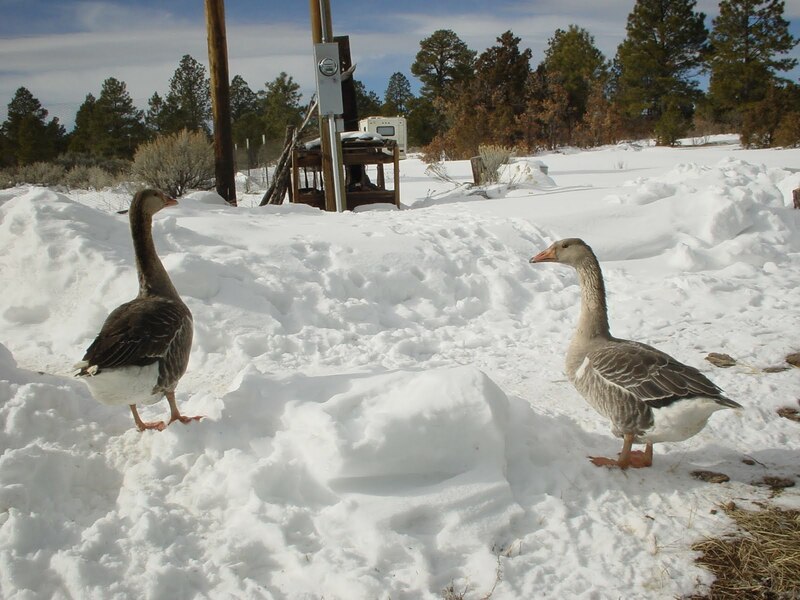 Taos County is in a State of Emergency with no gas for heat or hot water. There are no electric heaters at Walmart and even if you were one of the lucky ones, an electric heater won't help if the electricity goes off again. Only those with wood stoves are toasty. Forget about going to the restaurant or the deli at the grocery store. Lots of busted water lines too. Some people turned off their water, so bottled water is flying off the shelves. ........ But the spirit of the west survives and Taos residents put on their winter gear, and a "stiff upper lip" and are carrying on. Out here at the cabin the electricity went off on the coldest night (-30). We just made sure that the fire didn't go out and we were fine. Sure glad I'm not too afraid of the dark. I know the Taos news because I did a food demo at Cid's Market on Friday. You could make this Chile Cheese Ball for your Super Bowl Party. I use a block of cream cheese, 8oz. of shredded 4 cheese blend, a little pack of applesauce, dried cranberries, and pecan pieces. Don't forget the Rio Grande Chile Spice Mix, at least a heaping tablespoon. If you make a cheese ball roll it in the mix and more pecans. Use as a spread or shape into a ball. Serve on crackers, tortillas, bagels, or celery. The forecast calls for more snow....the natural gas is getting turned on soon.....the roads will clear, the sun will come out and everyone will think that the New Mexico mountains take you pretty close to heaven. In some of the very cold places like Tbilisi the need of Electric Heaters is increasing day by day as these heaters are very effective in maintaining the temperature of your house so that you can get safe from so much cold environment. Electric Heating is the best solution for winters.